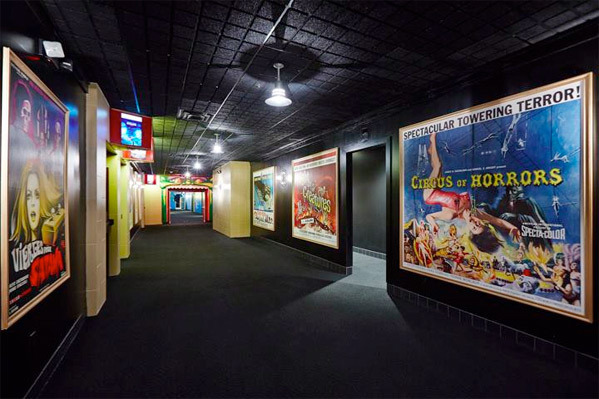 If you love movie theaters as much as we do, you're going to love this place even more than before. 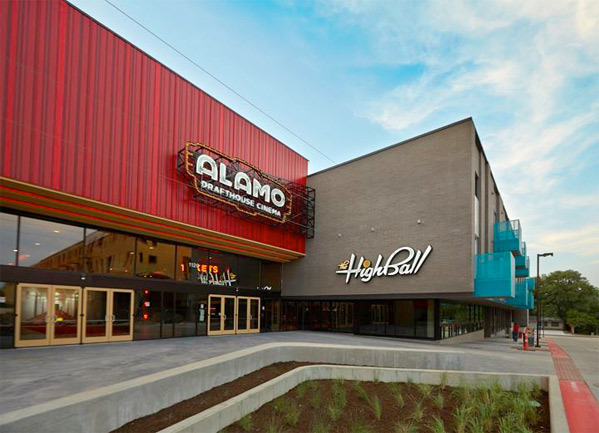 Tim League's Alamo Drafthouse cinemas is re-opening a flagship location in Austin, Texas, and after a year of renovation, the theater is ready to be shown off. 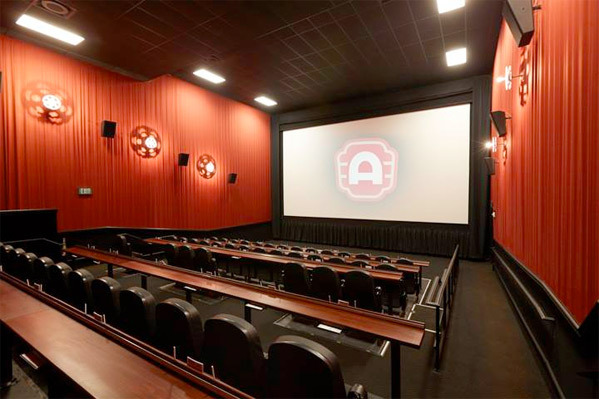 The Alamo Drafthouse South Lamar (Google Maps) is re-opening to the public on Saturday, August 16th this weekend, and a batch of photos of the location has been revealed. 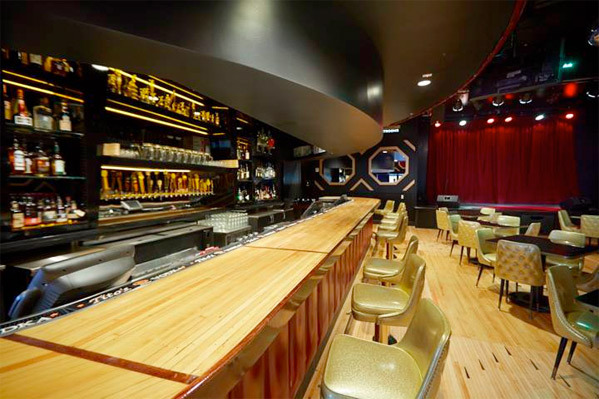 Featuring three brand new, additional auditoriums for a total of nine screens, as well as the infamous Highball bar and karaoke lounge, this place is a movie lover's mecca and it looks brand new again. 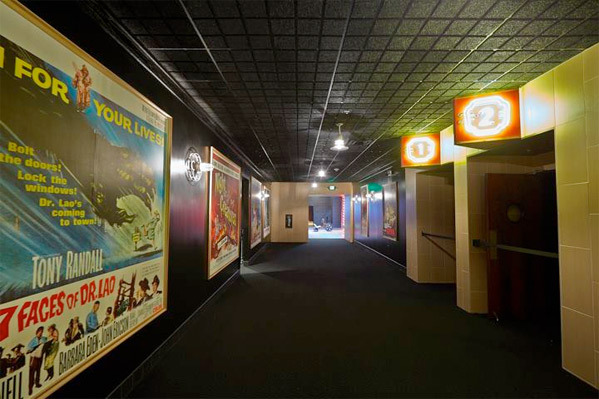 "Auditoriums range in size from 46 seats to 198 seats, with combined seating for 975 moviegoers. 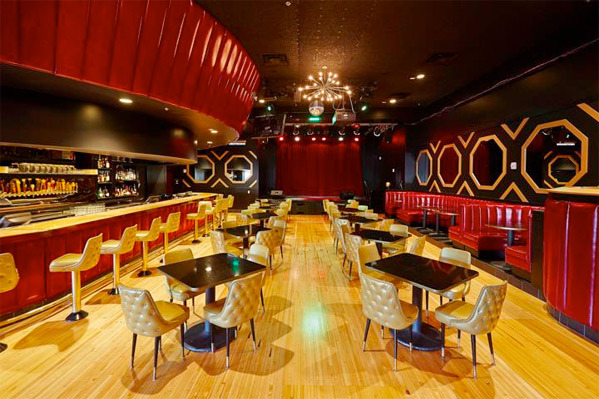 Newly built and now adjacent to the theater, The Highball bar features seven karaoke rooms, a ballroom dance floor and stage, a lounge area, and an outdoor patio. 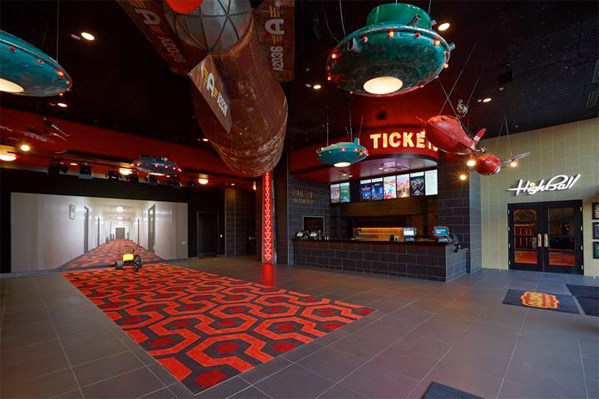 Guests will find parking in Lamar Union’s 576-space parking garage adjacent to the theater." 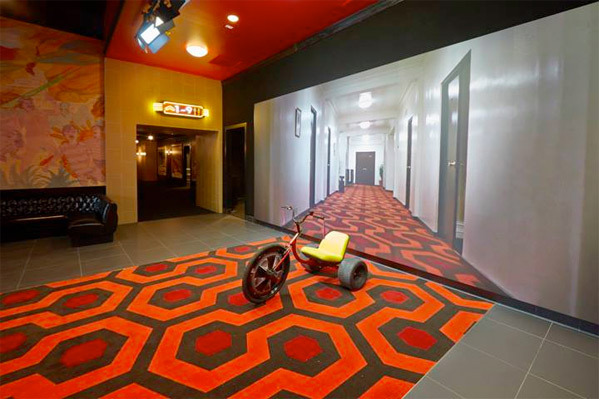 To top it off, the new location has that rad The Shining carpet and plenty of other movie memorabilia. 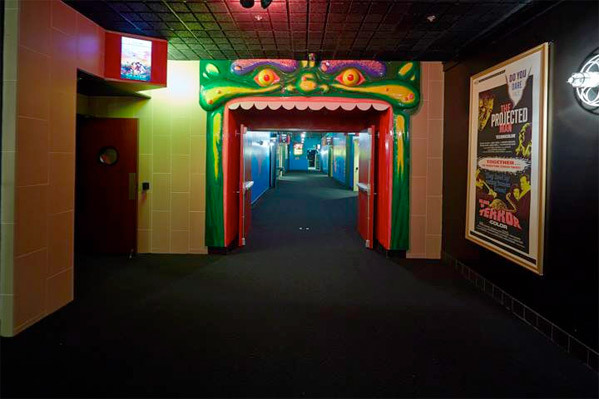 As we're big movie theater geeks we couldn't help sharing these images. 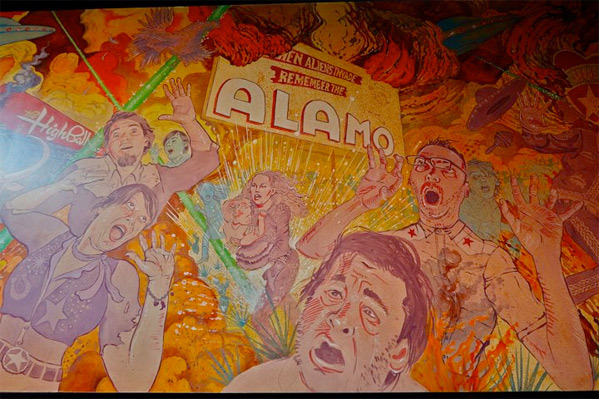 For more updates and full details on the re-opening of the South Lamar, see this blog post from Drafthouse. 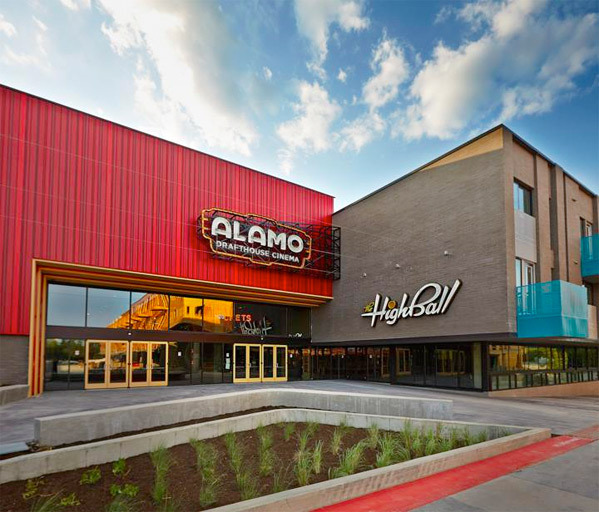 "We wanted to preserve as much of the spirit of the old Alamo South Lamar but extend on the ideas we explored in the first place," said CEO and founder Tim League regarding the renovation. "We hired the same artists, muralist Heyd Fontenot and sculptor Evan Voyles, to update the work they originally created. We've also added some great new additions including a Shining themed photo booth and some truly outrageous new karaoke room themes." 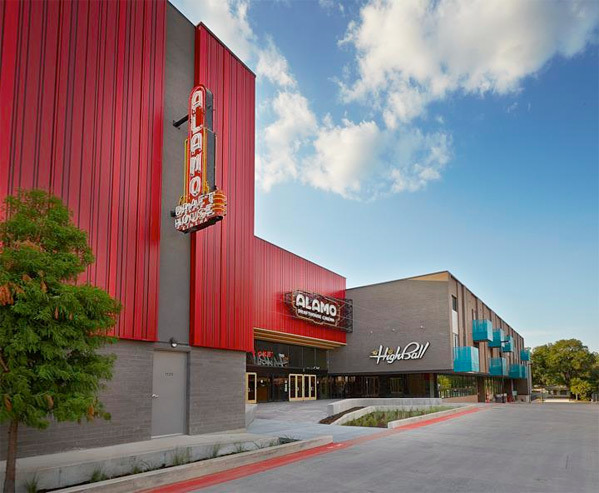 This theater is one of the "new" generation of Alamo Drafthouse locations, and will be one of their flagship theaters as they continue to expand across the country. 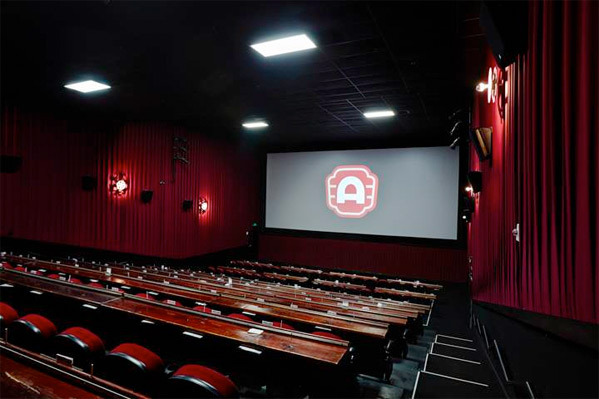 We'll be visiting here later in the year for FantasticFest, but if you're around the Austin area be sure to stop by soon. Hoping to check this place out when I visit my friend in Austin this winter! I really hope that is not the actual theatre seating. That set-up sucked b-hole. My G-d. It's so cool. So many little references here and there. Love those bowling alley hard wood floors. Love the theme from The Shining. 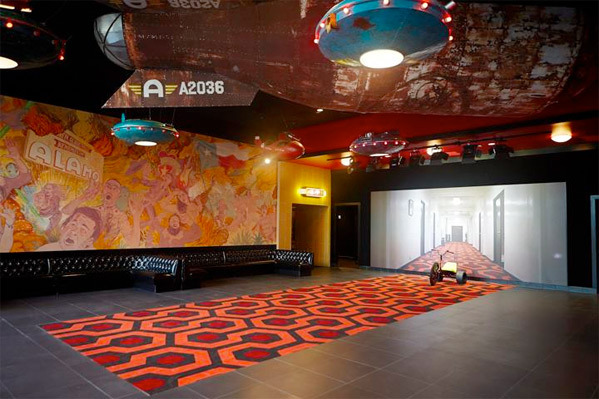 Is there are Room 237 too?